Description: Steve fell in love with Marquise when he first saw her as a yearling at the Ozarks Classic Breeders Sale in 2009. Then he saw her again in December of 2010, and he just had to buy her from Li'l Angels. 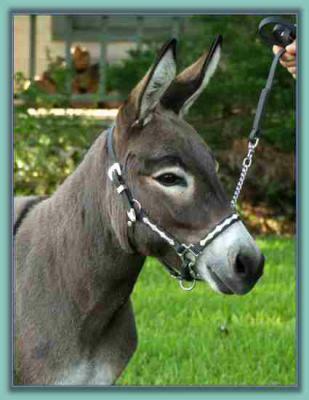 She is that stocky, drafty type jennet that we like. 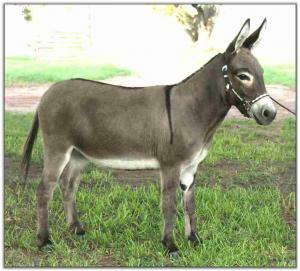 Marquise has been DNA tested and carries one dose of the donkey sorrel (red) factor "el". 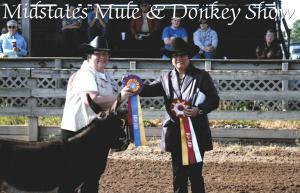 06/03/12: Marquise was awarded Champion Miniature Donkey at the Midstates Coldwater Show. Way to go, girl!